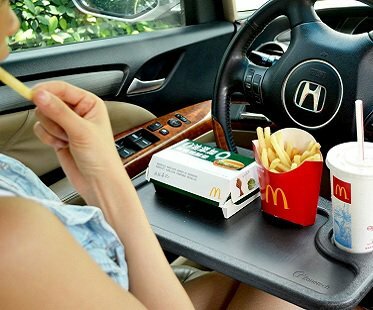 Take a break from that long road trip and enjoy a meal using this handy steering wheel food tray! It's lightweight and easy to attach and remove. You could even use it as a desk for your laptop or paperwork!